The annual Ecclesholme Christmas fair organised by the Association of Friends of Ecclesholme committee held at Eccles Masonic Hall was a huge success. 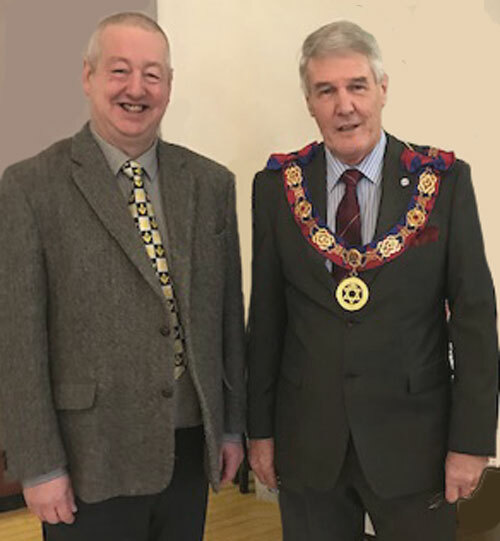 The event was opened by Paul Renton the Deputy Provincial Grand Superintendent and he was shown around the home by the Association President, Stephen Gregory prior to him opening the fair. Paul Renton and Stephen Gregory prior to the opening of Christmas Fair. Ecclesholme is currently being refurbished by the RMBI which is an integral part of the Masonic Charitable Foundation. When finished the MCF will have spent £500,000 on the refit. The work currently being carried out is phase two of the three phases of improvements to modernise Ecclesholme.. This is the first of the two Masonic homes in West Lancashire to be refurnished and a further £500,000 is to be provided by the MCF to do extensive work at the Tithebarn in Crosby, Liverpool. The Christmas fair raised in excess of £1,400 for the ‘Residents’ Amenity Fund’ to provide much needed soft furnishing to compliment the new work carried on in the home. The committee along with the home manager, Bev Niland and her staff manned the stalls and thanks to their efforts the fair was a success. Since the last meeting the fund has been given over £18,000 for essential items for the benefit of the residents. A new electronic bath is to be purchased and installed at a cost of £7,000 to make bath-time for the residents much more easy for them get in and out of the bath with dignity. 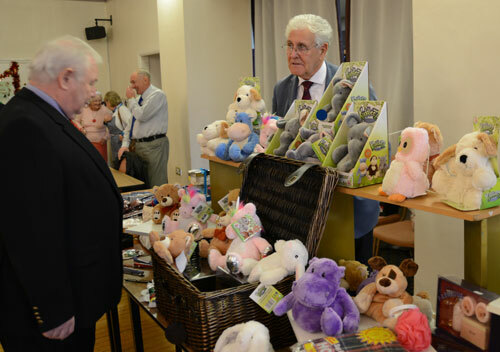 Peter Hegarty, the association secretary buying a microwaveable cuddly soft toy from the stall run by the vice president of the association Malcolm Warren. Each one of the 50 bedrooms at the home needs bedside pads costing £2,000, in order to monitor and to inform the carers if a resident leaves their bed or should they fall, enabling the staff to attend the resident in need.